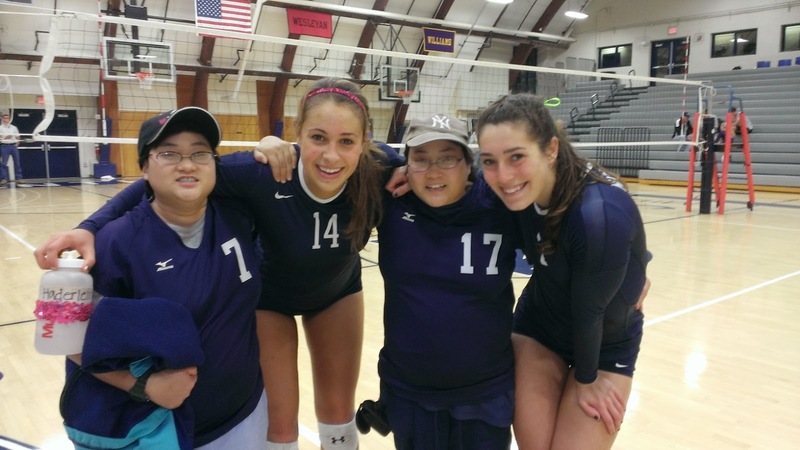 MIDD Volleyball 2017-18: Team Involvement with Special Olympics Has Big Impact on All! 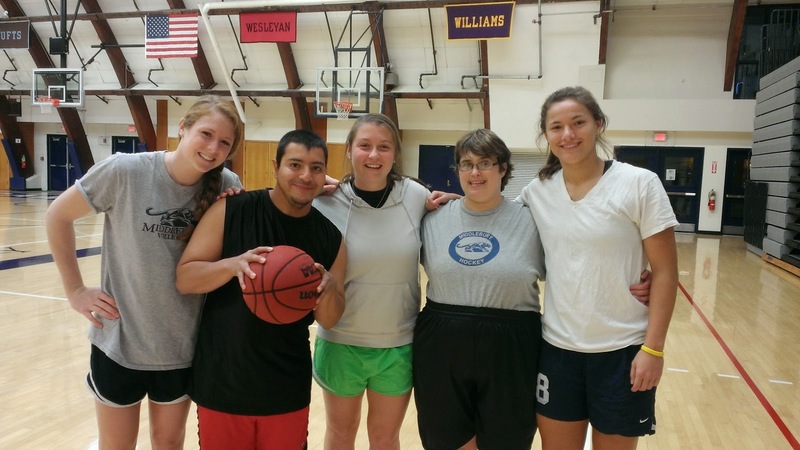 Team Involvement with Special Olympics Has Big Impact on All! All season, and now into the off-season, several members of our team have been involved with Special Olympics in one way or another. They've mentored athletes, coached them, and just hung out with them. In turn, a couple of the athletes were special fans of ours this season, which was awesome! Here are a few pictures. Above we have the "gang" all together. 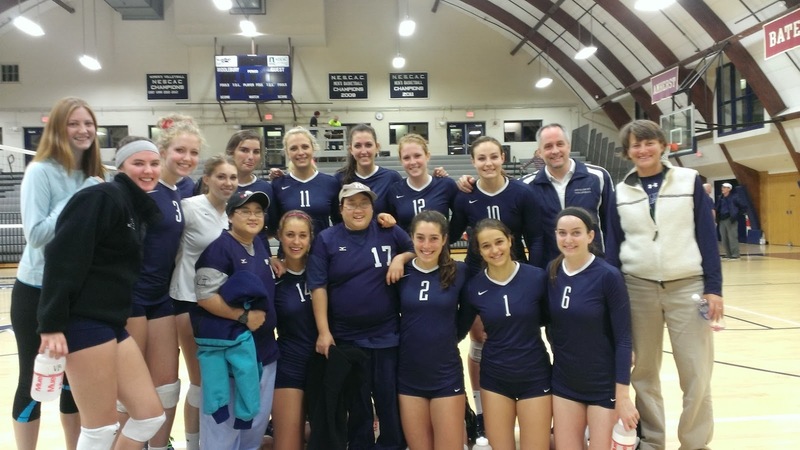 To the left are our SUPER FANS at one of our games sporting MCVB official jerseys, and below that we have Kathryn with them again on Senior Night. 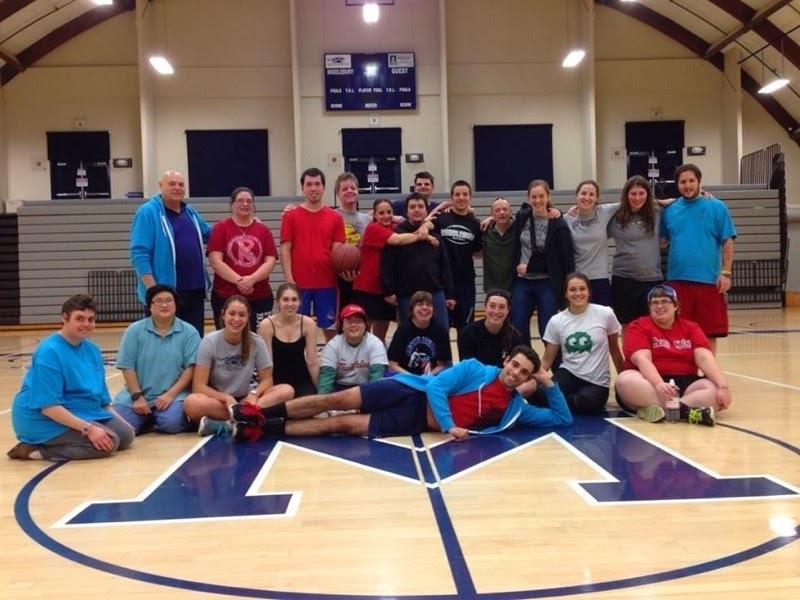 Also, we have pictures and (hopefully) video of Amy playing basketball with the Special Olympic athletes and other MIDD athletes. It's been a win-win for all involved!